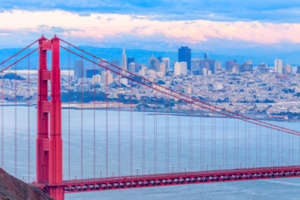 San Francisco is famous for its hills, colorful Victorian houses, cable cars, enduring fog, majestic Golden Gate Bridge, and Transamerica Pyramid. With the rise of Silicon Valley, the Bay Area has attracted one of America’s largest concentrations of affluent individuals and families, many of whom are accustomed to a lifestyle of comfort and elegance. Recruiting and retaining well-trained, experienced household staff is a key element in the maintenance of such a lifestyle. To sustain their standard of living, many of San Francisco’s most respected families rely on Pavillion Agency as a one-stop shop for household staffing solutions. Our agency offers job placement services (permanent, temporary, or temp-to-perm), payroll processing, benefits consultation, and in-home staff training. Let us show you the Pavillion Agency difference!